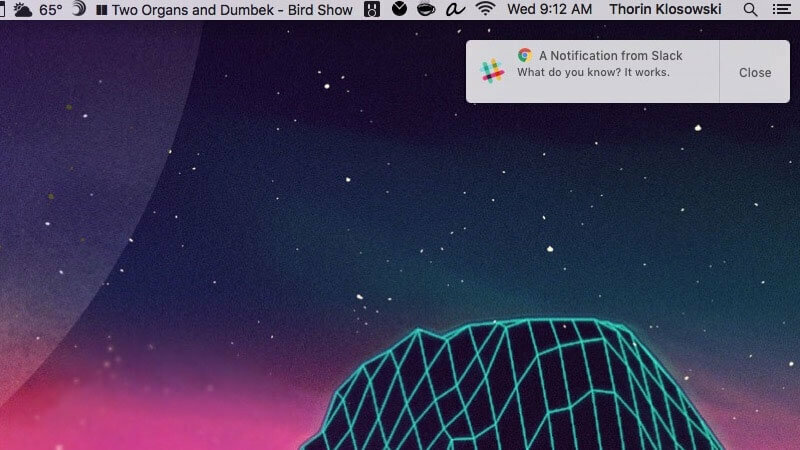 The Mac OS X notification center has been available to developers for some time, but Google's Chrome browser has historically ignored it in favor of a custom solution that's both clunky and lacklustre. It seems Google has realized this isn't the best way to deliver notifications to users, and has implemented a new, experimental feature in the latest builds of Chrome that uses the OS X notification center instead. This is the first time Chrome has been able to push notifications to users through Apple's native solution, and it certainly improves the user experience. With Chrome using native push notifications, you'll no longer run into issues like Chrome popping up over other apps when you receive a message, even if the window is hidden or in another workspace. It also makes Chrome's notifications cohere with the rest of OS X's design. Google hasn't enabled native OS X notifications by default yet, but there is an experimental flag you can enable if you really want to try it out. To get native notifications, head to about:flags, turn on 'enable native notifications', and restart your browser.